In Part 1 of this article series, I discussed everything that was wrong with distance running for pitchers. In Part 2, I’ll outline my thoughts on how to best integrate conditioning for pitchers between throwing sessions. This article will focus on managing starters, but I suspect you’ll find that managing relievers isn’t entirely different aside from the fact that you’ll need to “roll with the punches” a bit more. I think the best way to introduce this article is to describe a coincidence from the beginning of the year. On January 5, I received an email from one of my pro pitchers asking me if I could outline some thoughts on my between-start strength and conditioning mentality, as his old college pitching coach had asked for his input from him, as he was a student of the game and had tried some non-traditional ideas. In response to that email, I replied with essentially everything I’ll describe in this article – plus everything I outlined in Part 1 with respect to how bad a choice distance running is. These researchers divided a collegiate pitching staff into two groups of eight over the course of a season, and each group did everything identically – except the running portion of their training programs. Three days per week, the “sprint” group did 10-30 sprints of 15-60m with 10-60s rest between bouts. The endurance group performed moderate-to-high intensity jogging or cycling 3-4 days per week for anywhere from 20-60 minutes. Over the course of the season, the endurance group’s peak power output dropped by an average of 39.5 watts while the sprinting group increased by an average of 210.6 watts (1). So, basically what I’m saying is that I was right all along – and I’m totally going to brag about it. Part 1 of this series simply justified all of my thoughts; now it’s time to put them into a framework. Q: Is running 1-2 miles once a week considered distance running? A: I’d call anything over 150m “distance running” in a pitching population, believe it or not. I haven’t had a baseball player run over 60 yards in two years – and even when they go 60, they’re build-ups, so only about 50% of that distance is at or near top speed. Q: Is running 10 poles in 30s with one minute of rest considered distance? A: Let’s say it takes 30s to run a pole, and then you rest a minute (1:2 work: rest ratio). Then, you go out and pitch, where you exert effort for one second and rest 20s (1:20 work:rest ratio). This is the equivalent of a 100m sprinter training like a 1500m runner. Q: Don’t you need some endurance to pitch a complete 9-inning game? A: If all endurance was created equal, why didn’t Lance Armstrong win the New York or Boston Marathon? Endurance is very skill specific. Additionally, there is a huge difference between exerting maximal power over 20-25 individual efforts with near complete rest (a sample inning) and exerting submaximal efforts repeatedly with no or minimal rest. Q: What about guys who are overweight? What should they do? A: Fat guys should be paperweights, bouncers, sumo wrestlers, or eating contest champions. If they want to be successful players at the D1 level or beyond, they’ll sack up and stop eating crap. Several years ago, I promised myself that I would never, ever try to use extra conditioning to make up for poor diet. Q: What are your thoughts on interval training? A: We know that interval training is superior to steady state cardio for fat loss, but the important consideration is that it must be specific to the sport in question. 1. The secret is to keep any longer duration stuff low-intensity (under 70% HRR) and everything else at or above 90% of max effort (this includes starts, agilities, and sprints up to 60yds). For more background on this, check out the McCarthy et al. study I outlined in Part 1. 2. Ideally, the low-intensity work would involve significant joint ranges-of-motion (more to come on this below). 3. Don’t forget that pitchers rarely run more than 15 yards in a game situation. 4. Strength training and mobility training far outweigh running on the importance scale. 5. If you need to develop pitching specific stamina, the best way to achieve that end is to simply pitch and build pitch counts progressively. If that needs to be supplemented with something to expedite the process a bit, you can add in some medicine ball medleys – which can also be useful for ironing out side-to-side imbalances, if implemented appropriately. However, a good off-season throwing program and appropriate management of a pitcher early in the season should develop all the pitching specific endurance that is required. In a case of a five-day rotation, here is how we typically structure things. Keep in mind that dynamic flexibility and static stretching are performed every day. 1. When a guy happens to get five days between starts, we’ll typically split the Day 3 lifting session into two sessions and do some movement training on Day 4 as well. 2. I know a lot of guys (myself included) are advocates of throwing more than once between starts. For simplicity’s sake, I haven’t included those sessions. 3. There are definitely exceptions to this rule. For instance, if a guy is having a hard time recovering, we’ll take Day 2 off altogether and just do our sprint work after the bullpen and before lifting on Day 3. That adds a full day of rest to the rotation in addition to the really light Day 4. With a 7-day rotation, we’ve got a lot more wiggle room to get aggressive with things. This is why in-season can still be a time of tremendous improvements in the college game, especially since you can work in a good 2-3 throwing sessions between starts. Again, dynamic flexibility and static stretching are performed every day. To keep this simple, I’m going to assume we’ve got a Saturday starter. Of course, traveling logistics can throw a wrench in the plans on this front sometimes, but the good news is that collegiate pitchers have six days to roll with the punches to get back on schedule. As you can see, I am a big fan of quality over quantity. Our guys only sprint twice in most weeks – and certainly not more than three times. This certainly isn’t the only way to approach training between starts, but I’ve found it to be the most effective of what our guys have tried. 1. Rhea MR, Oliverson JR, Marshall G, Peterson MD, Kenn JG, Ayllón FN. Noncompatibility of power and endurance training among college baseball players. 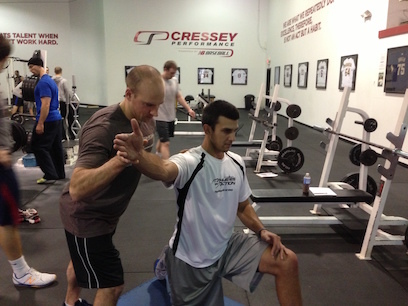 J Strength Cond Res 2008 Jan;22(1):230-4.
used by Cressey Performance Pitchers after they Throw! Wow, I’ve got nothing to do with pitching and throwing and still read these articles like a mystery novel, (just couldn’t stop ) Thanks, Eric, very interesting. Most of us don’t get much opportunity to work with college or pro clients; we deal with the high school pitcher and the little league pitcher that don’t get a 5 or 7 day rotation. When they come off the mound they go to 3rd base or SS. They usually are one of the best athletes and the coaches leave them on the field and in the batting lineup. So some suggestions on this management sould be very helpful for most of the PT’s out here. any advice for throwing in between starts? I know many guys are different in terms of what they like to do long toss wise, but a general outline in between starts that you have deemed effective? Also, do you recommend pitchers lift before or after throwing sessions in between starts? It really depends on the kind of rotation you’re on. 5-day or 7-day? would you recommend throwing before or after your workouts? We usually have our guys throw multiple times between starts on 7 day rotation. Some flat, some short off mound. What do you recommend for the days they would throw between starts of the 7-day? Also, are you totally against a guy throwing an inning in a mid-week game instead of a bullpen or is that too much? Are you asking what I think they should do throwing or strength training wise? I don’t mind a mid-week inning for most guys – but it’s a slippery slope when coaches start wanting to bring them in earlier or make them pitch longer when a game goes to extra innings. 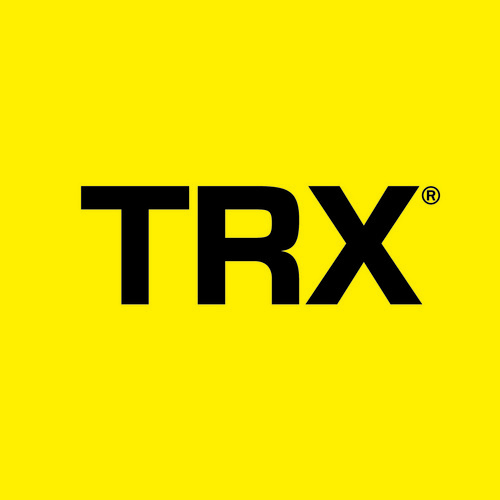 Could you give an example of a good low-Intensity resistance training (<30% of 1RM) circuit? I have no idea where to start on that one. 1-leg RDL, push-up, body weight reverse lunges, face pulls, lateral lunge, band pullaparts, etc. It’s just a matter of getting them moving. You could just go through some mobility drills from your warm-ups, too. Being a high school pitcher, I really enjoyed this article. What would you recommend in regards to throwing sessions in-between starts? I mean, what days would you have your pitchers throw bullpens or long-toss? Thanks! Assuming a 7-day rotation, I like to see pitchers get in two “intensive” throwing sessions (one long toss, one bullpen) between each start. So, if you started on Friday, you’d long toss on Monday and throw your pen on Wednesday. That said, you can fill in the cracks on the other days with playing catch. Great stuff! I run a baseball academy in the Dominican Republic and we have some specific challenges. Our older group generally throw on Fridays and we have no on-field practice on Sundays/Wednesdays. We also have limited access to a “US” style weight room. We have bands and weighted balls. What would you recommend for a 7 day program with these constraints? Whats is your opinion on throwing between starts on a 5-day rotation? I generally prefer long toss “to feel” on day 2 and a bullpen on day 3. Guys can play light catch or take the day off completely on Days 1 and 4.